When you think of the most delicious and fresh gelato and sorbetto in America, you are craving Ciao Bella. The premier gelato and sorbetto maker in the country may be known for using the world’s finest ingredients—Sicilian lemons, Valrhona chocolate, Louisiana pralines—but you don’t need to travel the globe to experience the bold flavors yourself. All you need is a handful of simple, fresh ingredients; a standard ice cream machine; and your imagination. The magic of this book is that once you learn how to make just one easy custard or simple syrup base, you can dream up an infinite number of flavors. In addition to being able to re-create Ciao Bella’s award-winning favorites, like Key Lime with Graham Cracker Gelato or Hazelnut Biscotti Gelato, you’ll be able to invent your own combination and mix and match more than 100 unbelievably indulgent frozen desserts. 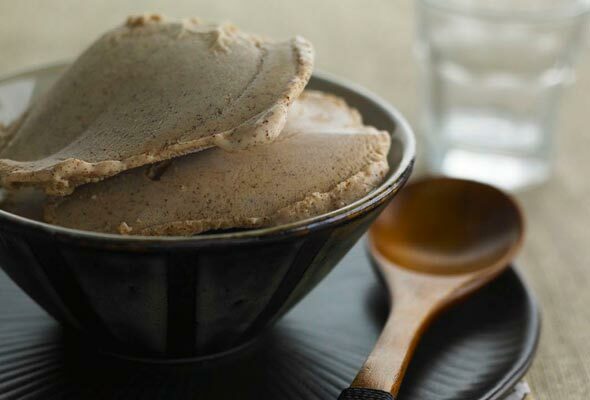 Cinnamon is the solo act in this sophisticated but simple gelato. Creamy, indulgent, and complex tasting, this gelato is sure to become a new favorite.